" Every loves chocolate. 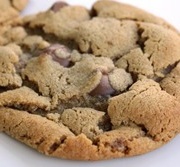 This chocolate cookie recipe is unbelievable. Not only does it make the whole house smell good, but my family always has room for them after dinner."